Good day my beautiful ladies! 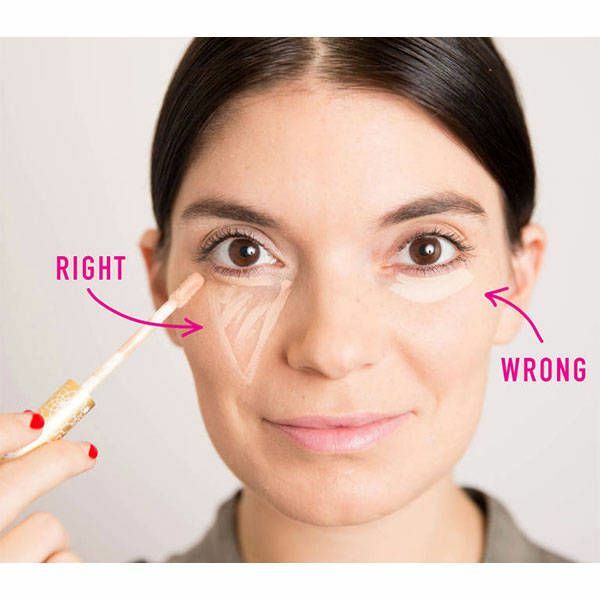 I know that you are looking for some concealer trick, and I bring you the best ones. By using it the right way, you will get the most of your product. After reading this post, I am pretty sure that you will become best friends with your concealer! 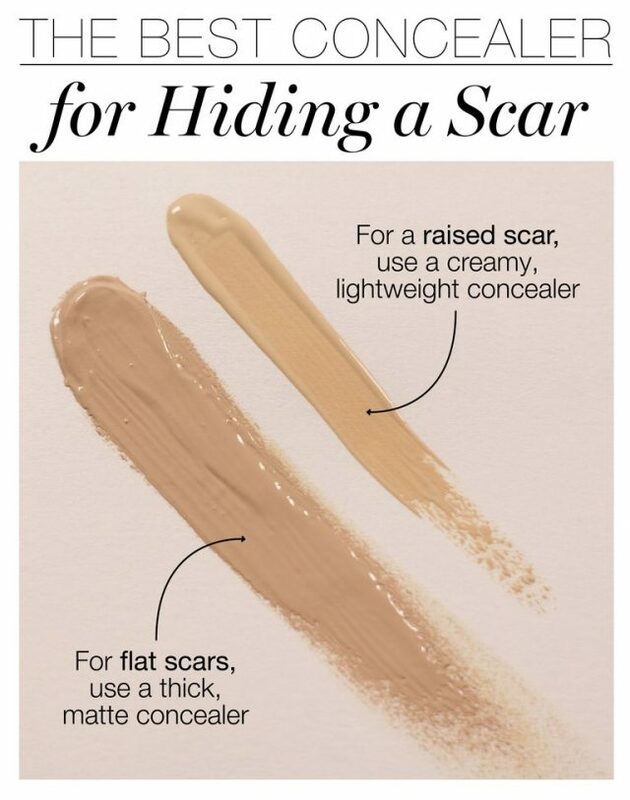 The concealer can help you cover a variety of skin imperfections. If you have noticed different color tones in the shop and wondered why, it is clear now. Certain colors can neutralize some of the most common skin imperfections, such as redness and dark circles. For example, use a peach-toned concealer for the blue under circles. Green concealer will neutralize redness and acne, while yellow will cover the dark areas. When you want to cover up the dark circles left from a sleepless night, this is the trick for you. Draw inverted triangles, instead of half circles under the eyes. 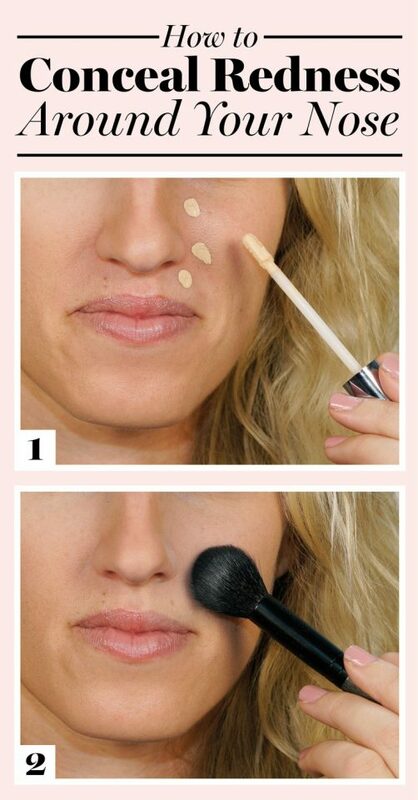 Blend the concealer, and you are ready to go. Not only for making the dark circles disappear, but this will also shape your face in a nice way as well. Apply fixing powder to make sure that it does not crease. 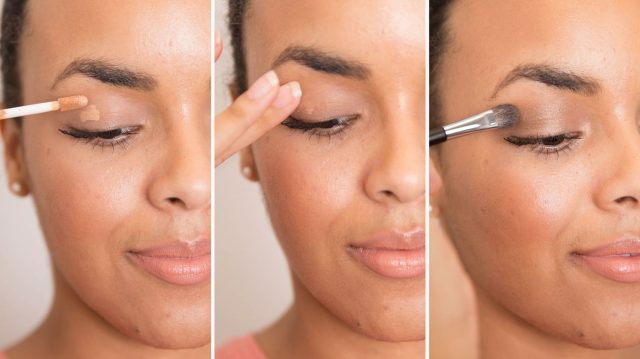 If you want to give a good shape to your brows but don’t feel like filling them, this is your solution. Use a liquid concealer one tone lighter than your skin tone to outline your brows. Simply outline your natural brows with a brush, and then blend it. Your brows will instantly stand out, and you don’t have to fill them with a pencil. This is perfect if you want to have brow definition and a natural look at the same time. You really don’t have to spend your money and buy eye shadow primers. Dab a little of concealer on the eye before applying your makeup. It will work just well. There are different types of concealers available that can be used for a specific problem. If you are looking for high coverage, get a cream or stick concealer. Pencil concealers are excellent for outlining and have a matte finish. Liquid ones offer medium coverage and are good for blending. In the end, it all depends on your necessities. You can even have more than one type in your makeup bag.